Not to be one of those people who claims to have liked a song before everyone else did, but I was into big lips before self-made billionaire, Kylie Jenner, came along and made it a “thing.” No, but seriously…I started the trend. I’ve always had small lips, in fact, in seventh grade, this boy told everyone he had a crush on me, and that his favorite thing about me was my small lips. And that’s probably the meanest thing anyone has ever said to me. Given my obsession with big lips, I’ve tried everything on the market besides actually getting fillers. Look, I want them badly, but I’m also scared my dad may disown me if he knew I got them done. That being said, I’ve tried everything from lip liners, to plumpers, to dermarolling, to try to enhance my naturally small lips. So, in my continued efforts to always help you guys out, here are my findings of lip plumping products that work—and the ones that don’t. Sooo this one is probably my favorite product for immediate results. Like, if you’re going out that night, and want some more bodacious and supple lips, this is the product to use. Although, disclaimer, put it on at least two hours before you’re planning to see people. It not only enhances your lips with plump and color, it also reddens the skin around your lips, which isn’t a great look. But, if you do it as the first step in your getting ready routine, you should be good to go by the time you’re ready to face the world! And by “world” I mean the bartender you’re trying to schmooze for free drinks that night. This is another great option for immediate results, because it’s a pulsating device designed to stimulate collagen production. However, it’s time-consuming and tedious. When I say time-consuming, I mean it takes like, five minutes. But I have places to go and people to meet! That’s a lie, I’ve cancelled all my plans for the weekend so I’m just sitting around watching Netflix and stuffing my face, but STILL. 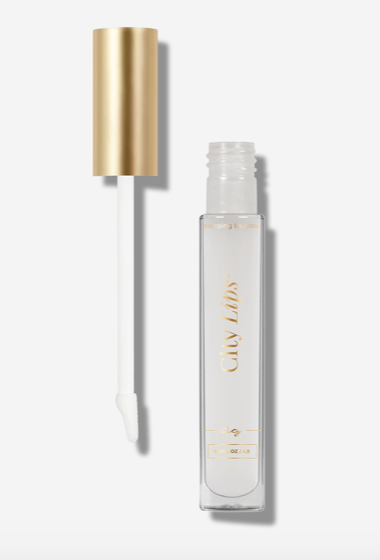 I prefer to use the aforementioned lip serum for immediate results because it requires no effort and is almost half the price. I’m not lazy, I just work smarter, not harder, baby!!!!! This product is overall geared for long-term results. Which, like all things that require time and dedication, this product’s efficacy requires diligence and patience… which aren’t exactly my strong suits. Although, I was very dedicated to using it as instructed for like, a week, and didn’t really feel I could see a difference. Now, I still keep this product in my arsenal and use it nightly because it’s definitely hydrating and makes my lips look younger. (Whatever that means?) 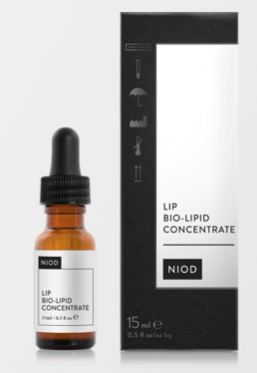 It primarily uses hyaluronic acid to directly fill and plump, and given how trendy hyaluronic acid is right now, I got to believe it’s doing something. Maybe it’s a placebo effect, maybe it works. I guess you can spend $129 and decide for yourself. This is another lip-plumping product I had high hopes for and was certainly disappointed. It comes in the form of a gloss, and the instructions say to apply it and then let it sit for 2-3 mins before putting any other lip products on top. This didn’t really work because of the fact that the gloss itself is so sticky. So when I went to go over line my lips post-gloss, it became a sticky mess. I realistically had to let it sit for 20 minutes before being able to even attempt to put any color on them. If you want to try this product, I suggest ordering one that’s already colored, so you don’t have to worry about having to add the color on top. This is another product that’s more about the long-term effect. It will provide minimal immediate results, but it’s more so about the end game with this one. Over time, it claims to stimulate collagen production in your lips. 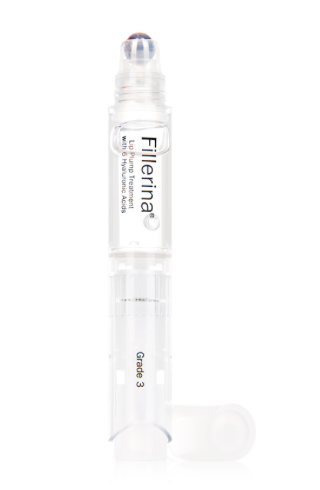 To ensure the best results, use a hydrating lip plumping product (such as Fillerina) before and after dermarolling your lips. Apparently, you’re not actually supposed to dermaroll yourself these days, but I’ve been doing it for years and haven’t had a problem. Just make sure you don’t push too hard and that you keep the roller clean and disinfected. But then again, I’m no dermatologist here, so take whatever I say with a grain of salt. You see how much I’m spending on these products, I can’t afford a lawsuit on my hands. This one is made by the company that creates Botox and Juvederm, so I had very high hopes for it. But then again, if I think about it more analytically and put my useless college education to the test, why would they make a product that actually works that well? If they did that, people would stop paying for their more expensive products to actually get their lips done. Well, as logic would suggest, this product was pretty much a flop. So if you’re going to buy one of their products, might as well just go pay for their fillers instead. This was another product that felt way too thick for everyday use. 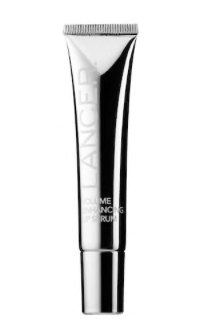 Dr. Lancer like, knows his sh*t, but he’s got to fix the consistency of this product. Because I trust Dr. Lancer, (I mean he is a legit doctor right???) I keep trying to make this product work. Oh, and also because I paid $42 for it so like, got to get my money’s worth! But honestly, I always find myself avoiding it when I reach into my purse, because it’s really just too thick. Obviously, these lip plumping products aren’t cheap, so hopefully this article at least helps you narrow down which ones are worth trying. And don’t you worry! Just like Tristan Thompson won’t ever stop being a cheating sleaze-bag, I will never stop searching for the ultimate lip enhancing product for us small-lipped gals everywhere! And, unlike Khloé in the whole Tristan-Jordyn scandal, you guys will obviously be the first people I tell when I do find it.